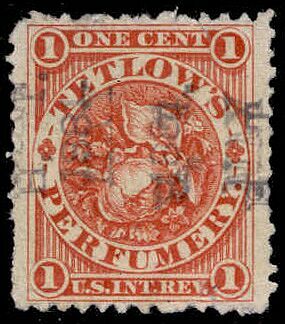 Stamps for Tetlow's Perfumery were issued from Jan 26, 1881 through February 17, 1883. 3,636,150 were printed, on watermarked paper. 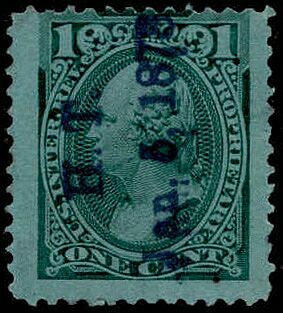 A regular issue proprietary stamp with an H.T. cancel, for Henry Tetlow. 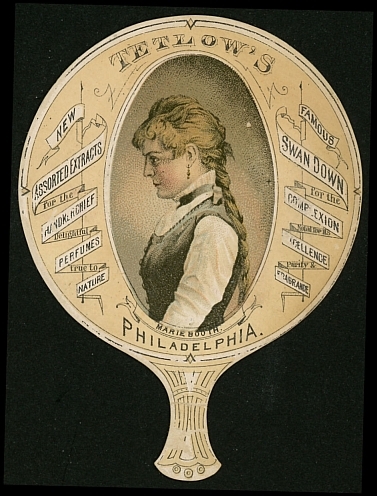 A Tetlow's trade card. Swan Down was one of their flagship products. Tetlow was a pioneer in producing face powder with zinc oxide in place of powdered lead as early as 1866. 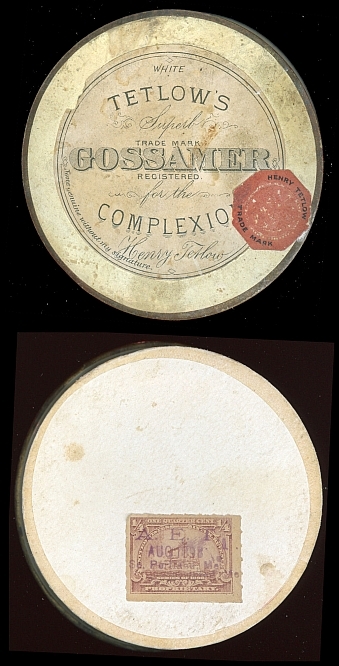 This package of Gossamer face powder was sold in 1898, as the battleship tax stamp is still on the bottom of the package. Tetlow did not use private die stamps during the Spanish American War tax period.